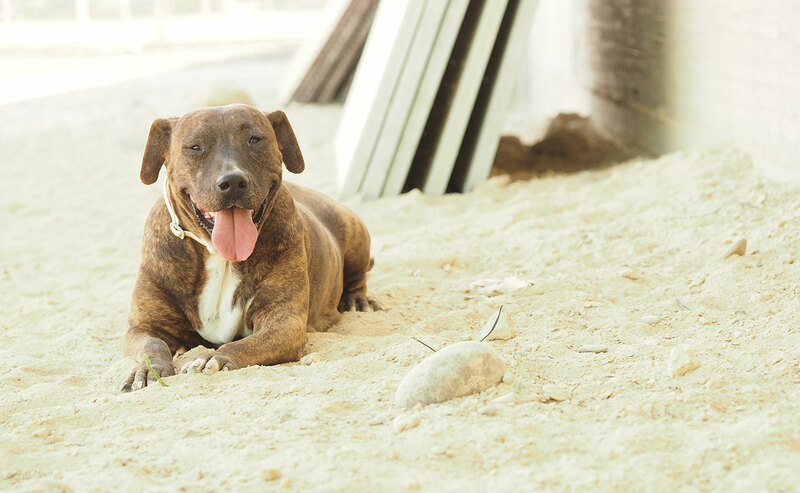 In Cyprus, the local community pounds are more like hellholes- dogs are kept in terrible conditions, on filthy cement floors and sick animals are never given any medical treatment. If the municipal workers remember, they may feed the animals and give them fresh drinking water. The dogs are kept for the statutory 15 days and if unclaimed, they are put to sleep. We used to hire space in private kennels which was very expensive. 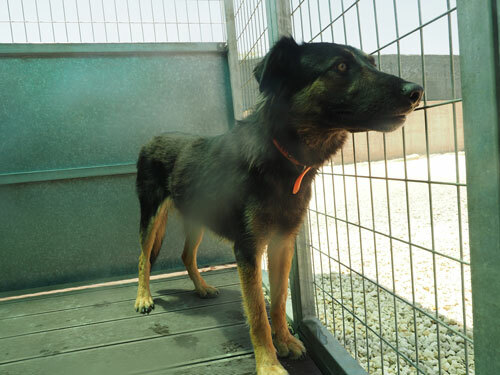 Many private kennels have dogs in small, confined spaces, most of the time never let out to exercise so the animals end up getting damaged both psychologically and mentally, making re-homing more difficult. We realized that in order to give these animals a real 2nd Chance 4 a new life and to really rescue them, not only physically, but mentally and socially, we needed to change our strategy, and fast. 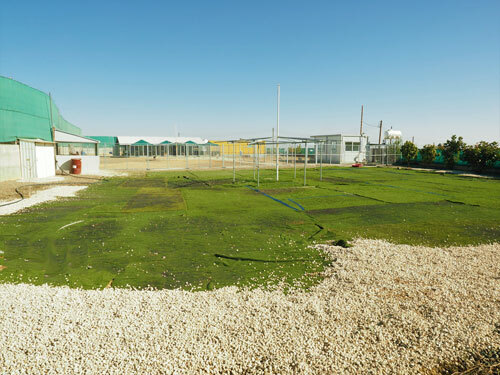 We had this vision of creating a center, whereby we could take the animals which we rescue to this center, to be given a safe haven, a sanctuary, a shelter, necessary medical care, high quality food, socialization with both fellow canines and humans, ample space and time for daily exercise with the aim of complete rehabilitation for the animals in our care. 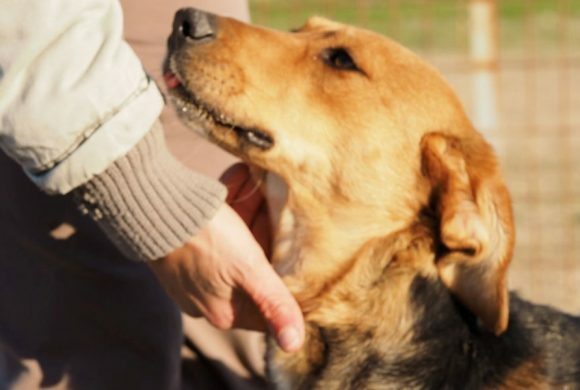 Finally when they have all of their needs met both physically and socially, accompanied by an evaluation by a qualified behaviorist, to be able to take the necessary steps to find each one the perfect match for a forever home, thus ensuring that every adopted dog will have a real 2nd chance 4 a new life! The Idea came about in October of 2015, at the time we had over 30 dogs in private kennels and felt the money we were giving these kennels was a waste, so we started the design of the runs and play areas. Initially we shared the idea with Lena from Apollo’s Angels, a long time friend and supporter. She immediately reacted and said she would support us. Apollo’s Angels and All because of Freda jointly set up the “Sponsor A kennel Project”, where supporters could sponsor and name a kennel or play area and money raised would go to the project. 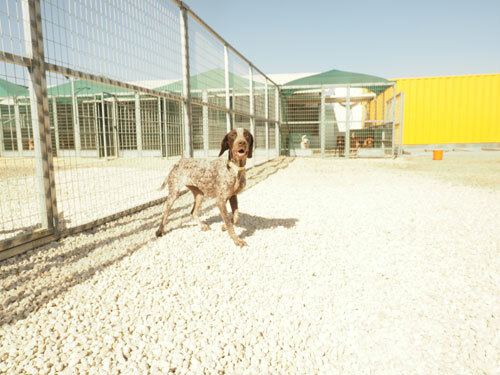 The Project includes 30 spacious runs which have their own insulated kennels, five large play areas, one of which is an agility zone, a kitchen and a bath facility. We will also add a small vet clinic with a quarantine section for the new “quests”. 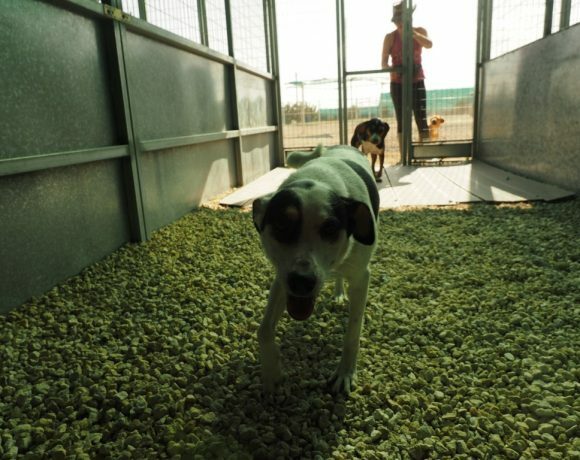 Also four large puppy runs and play areas for the fragile puppies that arrive at our center. 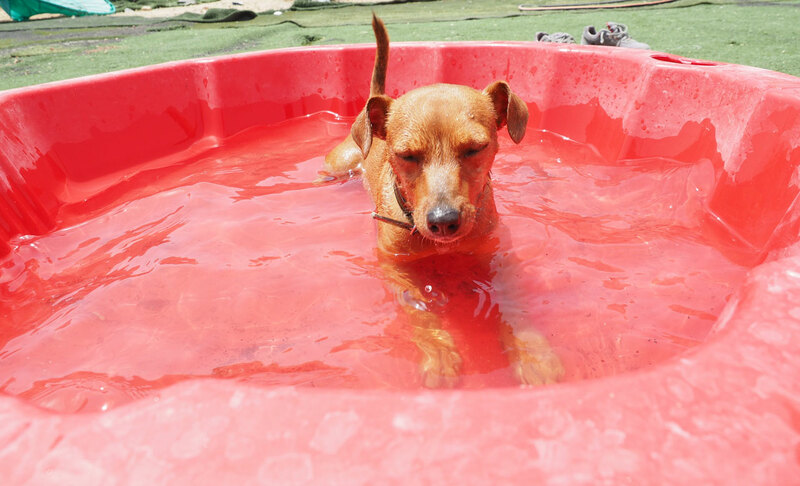 Now we can house 60 rescued dogs comfortably, with the goal of re-homing 180 dogs a year successfully! Our Vision has surprisingly came alive! To date the center has cost us a total of 70 000 Euros, 25% of which has come from donations from supporters of Apollo’s Angels, All because of Freda and a couple of local donors including the generosity of Renos Vassileades from TRCI, importers of Bosch High premium food, and of coarse not to forget Maria and Pambos who requested from their wedding guests to give donations towards this project instead of wedding presents. Thank you to all that supported this project. The Joy and happiness in the eyes of the animals that we rescue and successfully re-home can be attributed to your Kindness! For us it is important to keep a high standard, in saying this it is important we set policies on the maximum capacity of the center and how the animals arrive, how sick animals are treated and how we accept new intakes. Remember we have a responsibility towards the animal in our care. please click the button below to view our center policies.